A small revolution is taking place in the Geneva area. 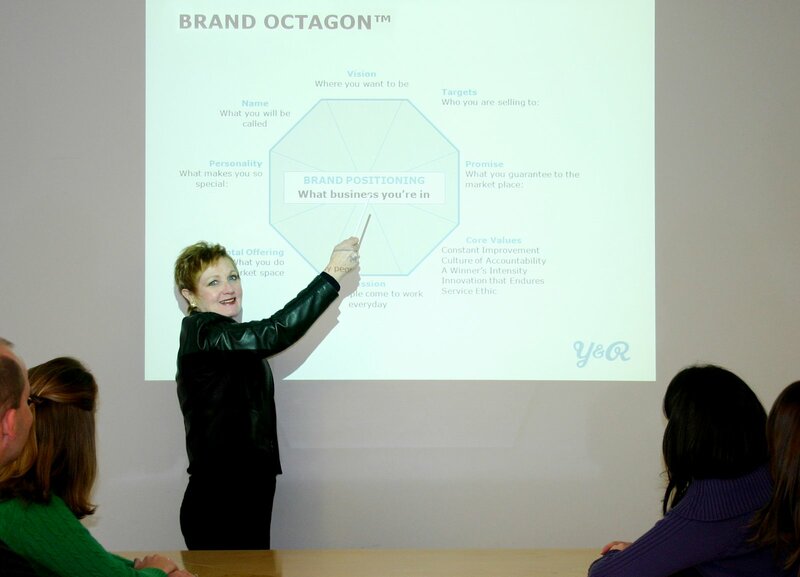 International and non-governmental organizations are adopting brand and marketing strategies to advocate their values. What appeared to be a savvy trend before the present economic turmoil may now become a necessity. International organizations in the not-for-profit sector are competing against a growing number of worthy causes and the Geneva area is home to the highest density of them in the world. Their ability to sustain institutional and private goodwill will depend increasingly on how they stand out. But this kind of branding is not about logos, it’s about improving internal perceptions. John Kidd, Corporate Communications Manager at the IUCN, International Union for Conservation of Nature, says that because the world is more competitive “you can’t get by if you send out confused signals”. As early as 2004, he realized that even within his organization there was “a big gap in common understanding”. Kidd set out to build his organization’s identity in a process that he refers to as “deep branding”. The essence, passion and values were there, but they needed to be clarified and brought into focus. Only then could the internal business practices begin to reflect those values coherently. This is a story that must permeate all the layers inside the organization before it can cross national and cultural frontiers. Feng Min Kan, Senior Coordinator for Advocacy and Outreach unit of the UN International Strategy for Disaster Reduction admits that her organization faces a crucial moment. Because of the complexity of the issues at stake and the need to increase the efficiency of processes with “multi-stakeholders”, her unit too has turned to the marketing agency for help. The patented methodology used by Young & Rubicam to extract “the story” is the Octagon. It is built on the premise that intangibles can be equity and when coaxed out, can produce strong brands. “If it’s powerful inside, it’s powerful outside” explains Mizera. The novelty of the approach is that it can help build partnerships around core values, including with the commercial world. What is goodwill doing in bed with the devil, asked Swisster? Feng Min Kan retorted that “We are all marketing people, one way or the other.” And when the IUCN and Shell work together to redirect a pipeline in order to preserve biodiversity, they are “over-lapping their Octagons” said Kidd. In fact, many Shell employees have an NGO background. Sometimes the brand precedes the story. The red cross and red crescent emblems were created more than fifty years before the International Federation of the Red Cross and Red Crescent Societies was formed in 1919 and have remained the universal symbols of its values. Bekele Gelata, the recently appointed Secretary General, declared in an interview to le Temps that his Federation uses its strong branding to accomplish “humanitarian diplomacy”, but now wants it to help transform the very habits that are provoking the disasters, including climatic. “To remain relevant and accessible to all, the IFRC must embrace new ideas and technology”, adds Pierre Kremer, Head of Communication. He recognizes the importance of partnerships that are a way of reaching new audiences “particularly the young people who will be the humanitarian leaders of tomorrow”. The appeal to the young raises the question of whether organizations – including in the business world – that are capable of communicating and sustaining their values remain more attractive. Several young people questioned for this article declared that a sense of positive ownership was more important to them than financial rewards. Sue Mizera is adamant that companies and organizations should not be reducing their branding efforts during the economic downturn, but doubling them. The ones that understand this, she said, will come out better.